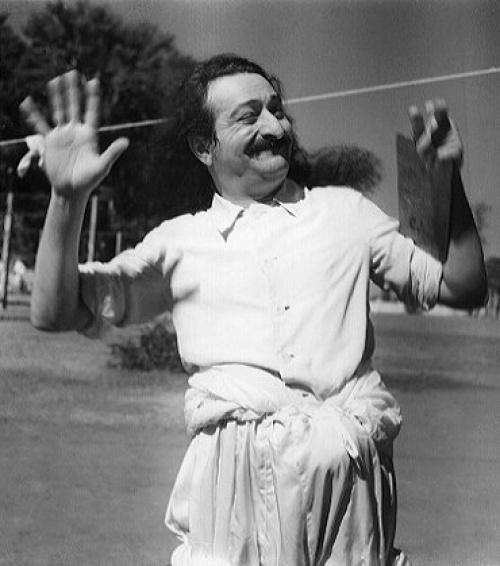 The Indian mystic and sage Meher Baba (1894–1969) often used the expression "Don't worry, be happy" when cabling his followers in the West. In the 1960s, the expression was printed up on inspirational cards and posters of the era. In 1988, McFerrin noticed a similar poster in the apartment of the jazz duo Tuck & Patti in San Francisco. Inspired by the expression's charm and simplicity, McFerrin wrote the now famous song, which was included in the soundtrack of the movie Cocktail, and became a hit single the next year. McFerrin said, "Whenever you see a poster of Meher Baba, it usually says 'Don't worry, be happy,' which is a pretty neat philosophy in four words, I think." The last few lines of the song also bring to mind a Sufi parable in which the lines "This too shall pass" are inscribed on a ring to serve as a reminder to be equanimous through life's journey.